Constant changes in the modern business world require more flexibility and continuous improvements. This counts also for your dictation solution. 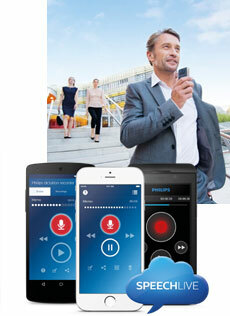 We would like to introduce some of the newest Philips dictation solutions which support modern business environments, especially when it comes to location-independent work- ing and speech recognition. 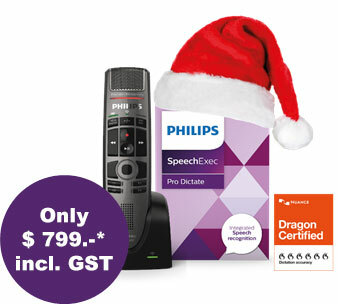 Also, don’t miss out on our Christmas Special with the new Philips SpeechMike Premium Air and Speech Recognition Bundle. Request a complimentary consultation session or book a demo to find out more about how you can improve the way you do dictation. Flat subscription fee – No hidden costs, no maintenance or upgrade fees. Option to upload from your existing professional digital dictation devices. 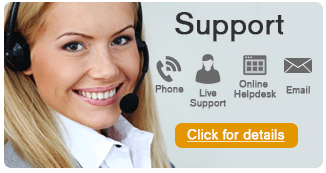 On-demand speech recognition or external transcription service during peak times. 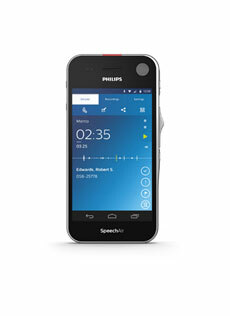 The Philips SpeechMike Premium Air can be bought in combination with Philips SpeechExec Pro Dictate and speech recognition software.Get the full solution and enjoy the best speech recognition experience. Superior housing & ergonomic design: The device is light-weight for maximum comfor Encased in an antimicrobial housing and polished for hygienic working and low touch noises. Backwards compatibility: Customers can upgrade from their previous SpeechMike model without having to install additional software.